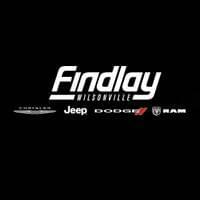 Welcome to Findlay Wilsonville Jeep Ram! At our Chrysler Dodge Jeep Ram dealer near Wilsonville, OR, we strive to provide our loyal customers with everything you need to make the most of your car buying journey. That’s why our team of automotive professionals has designed a dealership that’s equipped with a vast inventory, an in-house financing center, and a state-of-the-art service facility. By providing drivers near Wilsonville, Woodburn, and Sherwood with all the essentials of a successful shopping experience, you’ll spend less time searching for the perfect vehicle and more time enjoying the open road. Let’s take a look at what we’re all about! When it comes to your search for the right car, it’s essential to have access to a dealer that’s armed with an ample selection of options. Well, at our Chrysler Dodge Jeep Ram dealer near Wilsonville, OR, you’ll find an extensive inventory of trucks, SUVs, sedans, and just about any other type of automobile you can imagine. As a result, you and your family will quickly locate the reliable vehicle that’s ideal for your lifestyle—whether you’re a spontaneous off-roader, a daily commuter, or a busy parent. From the sporty Jeep Cherokee to the tough Ram 1500, and many other models, we’ve made a point to fill every inch of our showroom with a variety of different automobiles. That way, you’re sure to discover a car that’s perfectly suited to your specific needs. In addition, our team supplies you with a wide array of trustworthy used and certified pre-owned cars from which to choose. Thanks to the experience these road warriors have had, you can drive knowing that they’re built to handle anything you encounter during your journey. After you’ve identified the new, used, or certified vehicle that’s best for you, it’s time for you to kick off the purchasing process. Luckily, our team of in-house financing specialists is here to walk you through the various steps of your lease or loan agreement so that you know exactly what’s included. To tailor this process even further to your personal needs, we begin by sitting down with you to discuss a few details about your budgetary preferences and requirements. Once we’ve established those details, our representatives will craft a customized payment plan that’s designed with you in mind. The result? More peace-of-mind during the purchase of your Chrysler, Dodge, Jeep, or Ram automobile. Ready to learn more about your loan opportunities? All you have to do is fill out our convenient financing application. From there, feel free to submit your form through our encrypted portal so that our financing team can take a look. Then, they’ll contact you to speak more about your options. Don’t forget about our cutting-edge service facility. At our Chrysler Dodge Jeep Ram dealer near Wilsonville, OR, we take automotive maintenance and repairs seriously. From the first moment you walk into our auto repair shop, you’ll be provided with unwavering assistance and attention-to-detail, no matter what you need. That way, you can feel confident that your car will receive the same dedicated treatment during its service appointment. To reserve your vehicle’s next checkup, simply visit our service scheduler and choose the date and time that works for you. Once our technicians have received your request, they’ll reach out to you to confirm your appointment. Visit Our Chrysler Dodge Jeep Ram Dealer near Wilsonville, OR! At Findlay Wilsonville Jeep Ram, we take pride in our ability to supply drivers near Wilsonville, Woodburn, and Sherwood with a dependable ride that’ll make every adventure that much more enjoyable. So, if you’re searching for a vehicle that won’t hesitate to churn out unstoppable performance on any highway, look no further than our Chrysler Dodge Jeep Ram dealership. Why wait to learn more about everything we have to offer? Instead, stop by our showroom, give us a call, or schedule your test drive today. We look forward to working with you!